Not exactly breaking news, but it’s never too late to talk about Skyrim, in this case its expansion, Dragonborn. We’re finally ready to score the (presumably) last real add-on to Bethesda’s massively singleplayer RPG. Is it good to be Dragonborn? The most obvious addition is the return of Solstheim, the northern island last seen in The Elder Scrolls III: Morrowind’s 2nd expansion, Bloodmoon. The island is fairly familiar to vets of that expansion but my biggest gripe what that while I could see Vvardenfell (the island area Morrowind took place on) and its famous Red Mountain, I couldn’t reach it. This drove me bananas the whole time I quested, because I loved Morrowind, and have more affection for it then Oblivion or Skyrim – and that’s saying a hell of a lot, because I love those two game, as well. Aside from the cliff racers, I loved everything about it. Remember the random naked barbarians in the wild, or guiding the lost merchant back to Ald’ruhn in an ash storm? Sorry, I’m getting off track. Back to the review at hand, Alpha. The main story of Dragonborn pits you an old, long lost dragonborn – the original, your predecessor. The quest itself isn’t real deep or exciting, to be honest. It just amounted to some dungeon delving, including in some epically irritating jaunts through Apochrypha, realm of the Daedric god, Hermaeus Mora. So, not only have we gone back to a land from Morrowind, we have Daedric dungeon crawls, a la Oblivion. I really never felt involved in the main quest, honestly and just burned through it to get it over with, which took far less time than I expected. Just around when I thought the story would pick up, it ended. There are less than 10 total quests in the main story line, which is pretty shallow. Of course, this is an Elder Scrolls title so the main story is almost just a toss-in. The big fun is exploring, running into quests in the wild, and doing pretty much whatever you want. There are a good number of dungeons that need cleared and a few side quests are legitimately fun. Solstheim itself is less green in the southern half than I remember, but you’re told that Ash Storms have reached its shores since in the centuries since we were last here. I wondered if any Ashland tribes had transplanted themselves to this new land from Vvardenfell but alas, it was not to be. 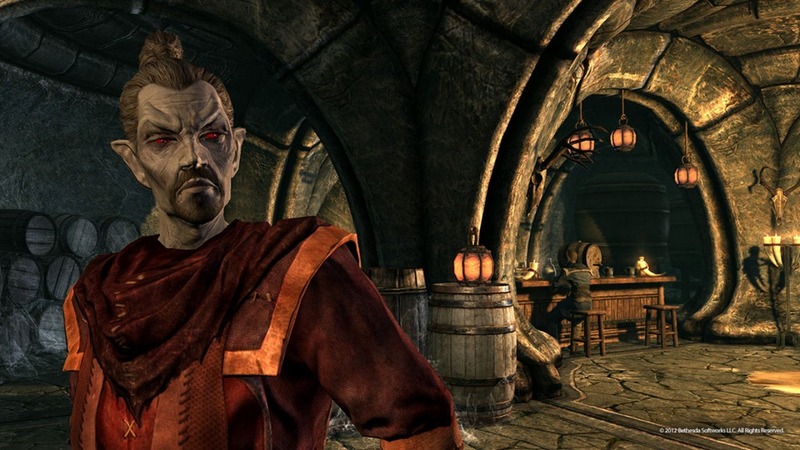 Are the tribes still splintered after the Nerevarine came back in Morrowind? I can’t remember – not that it matters, anyway. Visually, Dragonborn looks like Skyrim, and you can take that how you will. It is now a year and a half old engine build for soon-to-be last generation hardware, but it still looks good to me. Sound-wise there’s nothing here that will stand out after playing for an hour or so, but nothing clashes, either. Nothing is wrong with the sound effects or music, but if you’ve played Skyrim, you’ve pretty much heard it all. If you own Skyrim, I can only assume you already own Dragonborn. It’s doubly fun for Morrowind fans, as well. It doesn’t offer the limitless adventure of the base game but it’s a fun trip to another land for the time it lasts. 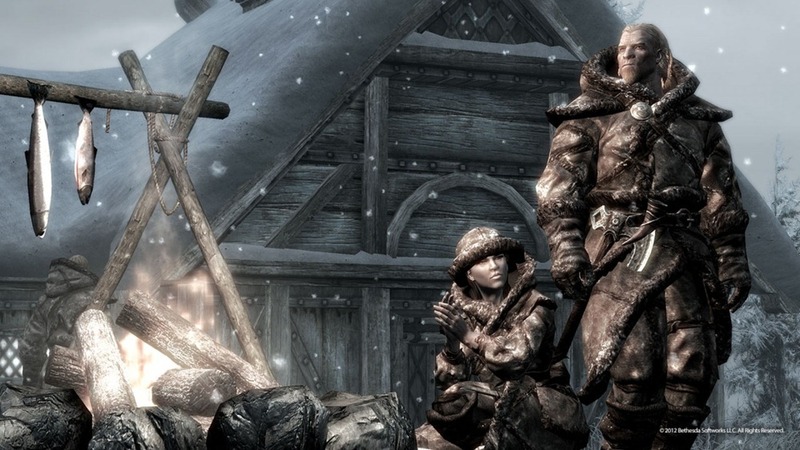 If for some reason you have not picked up Dragonborn, I suggest that you do, if only to spend more time with one of the best RPGs in recent years.